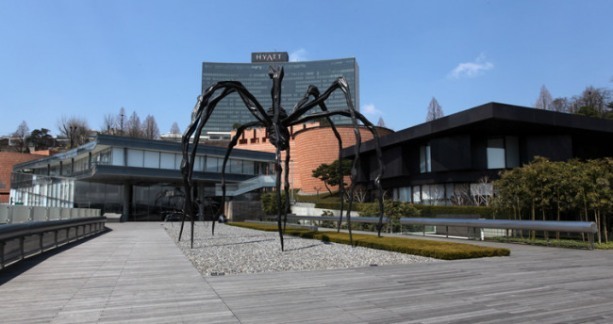 The lady of the Samsung family Hong Ra-hee, 72, resigned last week from her position as the director of Leeum Samsung Museum of Art for personal reasons. The decision astounded the business and art communities as the “super collector” had the discerning eyes and financial capabilities to purchase valuable art works. As of March 7, Hong ranks 10th on The Superich Team’s “Korea’s Richest 100,” and is the richest female within the country. She owns close to 1.1 million shares of Samsung Electronics’ common share which accounts to 2.2 trillion won ($1.9 billion) when standardized by the closing price of March 1. She was also listed as the 1,694th richest person globally according to Forbes’ count of world’s billionaires. Following the increased value of Samsung Electronics’ stocks on Feb. 28, the value of her assets also jumped by 80.2 billion won. Being the richest person born in the year of the chicken, she has received much attention since the beginning of this year. 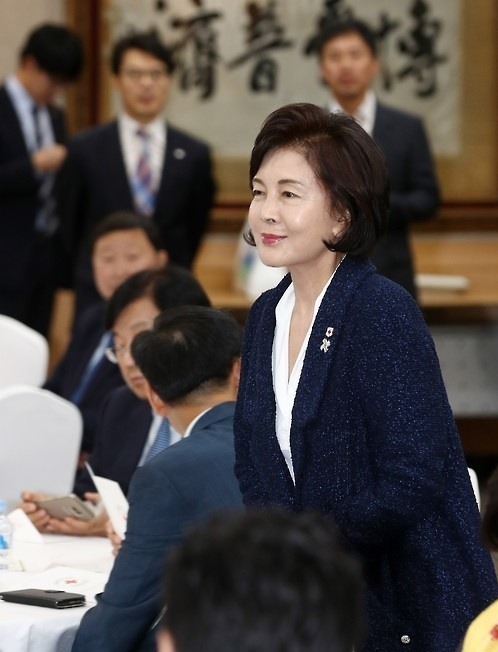 There are some voices in the business world that claim her position as Samsung Electronics’ dominant shareholder with 0.77 percent of the stock shares will allow her to exert a significant influence in making important decisions, such as corporate succession and possible system separation that may take place in the near future. There are only three among the Samsung family that owns common stocks in Samsung Electronics: Chairman Lee Kun-hee (3.54 percent), Vice Chairman Lee Jae-yong (0.6 percent) and Hong. Hong’s husband, Lee Kun-hee, is the richest man in Korea with around 15.2 trillion won. Her eldest son, Lee Jae-yong, ranks third with approximately 6.6 trillion won. The two daughters, Samsung C&T Fashion Group President Lee Seo-hyun and Hotel Shilla CEO Lee Boo-jin, each own about 1.6 trillion won worth of stock assets comprised of Samsung SDS (3.9 percent) and Samsung C&T (5.51 percent). Hong’s presence, however, meant more than a mere lady of the house. Having graduated as a major of applied art from Seoul National University, Hong gained recognition from her father-in-law, Samsung founder Lee Byung-chull, who was also a prolific buyer of antiques. She receiving special training from Lee who gave her 100,000 won every day to buy valuable antiques. Along with her keen insights, her connections and wealth allowed her to expand her influence over the world of art and become the director of Ho-Am Museum of Art in 1995. Ho-Am Museum of Art, named after Lee Byung-chull’s pen name, Ho-Am, opened in 1982 displaying Lee‘s collection of 1,200 Korean art works. Hong has also served as the director of Leeum Samsung Museum of Art since 2004. The museum, located in Yongsan-gu Hannam-dong, is well-known for its large size, exhibiting about 15 thousand art works. Hong is the indisputable No. 1 on the “influential figures in the Korean art circle” survey by the Korea Art Price Appraisal Association and Art Price, a technical journal on art, showing that she is more than just a lavish buyer but a true collector of insight. This was not the first time she had resigned from her position as director. The Samsung slush fund incident of 2008 led to her resignation from Leeum, Ho-Am and Samsung foundation of culture for three years. She has five younger siblings: Joongang Ilbo Chairman Hong Seok-hyun, BGF Retail Chairman Hong Suk-jo, Bokwang Investmemt Chairman Hong Seok-joon, Bokwang Group CEO Hong Seok-kyu, and Leeum Senior Deputy Director Hong Ra-young. It is likely that Hong Ra-young along with Deputy Director Lee Joon will take over the management of Leeum after her resignation.